Two men believed to be members of the local Bajrang Dal unit have been booked for attacking two cattle caretakers at the railway station in Bhubaneswar. Two cattle caretakers were attacked after being accused of taking cows for slaughter in Bhubaneswar. 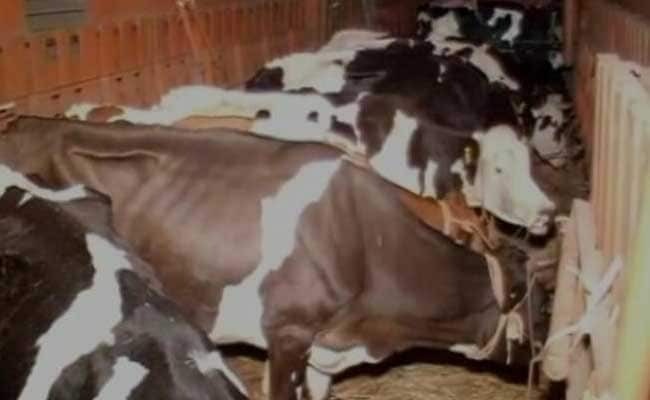 Bhubaneswar: Two self-styled cow vigilantes or 'gau rakshaks' have been arrested by the Government Railway Police (GRP) personnel in Bhubaneswar for an attack on two caretakers of cows who were thrashed after being accused of transporting the cows for slaughter earlier this week. Sudarshan Biswal, 39, and Sibananda Panda, 25, believed to members of the local Bajrang Dal unit have been booked for unlawful assembly, assault, rioting and deterring a public servant from discharging his duty. According to the caretakers of the cows, they tried explaining to the attackers that they were transporting the cows to Guwahati and then to Meghalaya where they would be distributed by the Meghalaya government at a function to villagers and they were not transporting the cows for slaughter. But the vigilantes did not listen to their pleas and rained blows on them, despite the caretakers trying to explain. The goons then raided the parcel van of the train at the station on Wednesday night after beating the caretakers and offloaded the cows as well. The station superintendent R K Patnaik registered a complaint with the GRP following which the arrests were made. The railway staff who tried to stop the attackers were also assaulted. The two caretakers, Umesh Singh and Bimal Yadav, have now been given security by the GRP. "We told them that we are taking the cows from Karnataka to Guwahati. They told us you take the cows for slaughter. We said we have papers but they started beating us," Bimal Yadav told reporters at Bhubaneswar. "We are verifying the CCTV footage of the station. Investigation is on. We will arrest other accused involved in the incident," a senior GRP official told reporters.